Academic research on the Paralympics and disability sport is growing. University courses, governing bodies, and sporting organisations are also witnessing a rise of interest in disabled sport. This book is therefore timely and of importance. 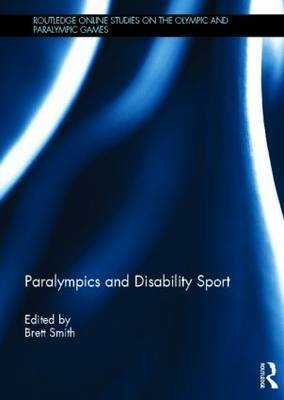 Written by leading scholars, it addresses a variety of topics in relation to the Paralympics and disability sport. These include: the sociology of Paralympic sport; sport coaching at recreational and elite level; sport history and exercise rehabilitation; exercise participation; and future directions for disability sport research. Throughout the book, disability sport is both celebrated and critically examined. Critical questions are raised, and practical suggestions offered, about being a Paralympian, coaching athletes with a disability, and exercise as a form of rehabilitation. Empirical evidence is drawn from different people and various sports. These range from autoethnographic stories from a former Paralympian, to interviews with disability sport administrators, to observations of and interviews with coaches of athletes in the sports of adapted water skiing, para-swimming, and wheelchair basketball, rugby and tennis. The book will be of interest to sociologists of sport, sport coaches, sport and exercise psychologists, disability scholars, qualitative researchers, and disability sporting organisations. This book was published as a special issue of Qualitative Research in Sport, Exercise and Health.